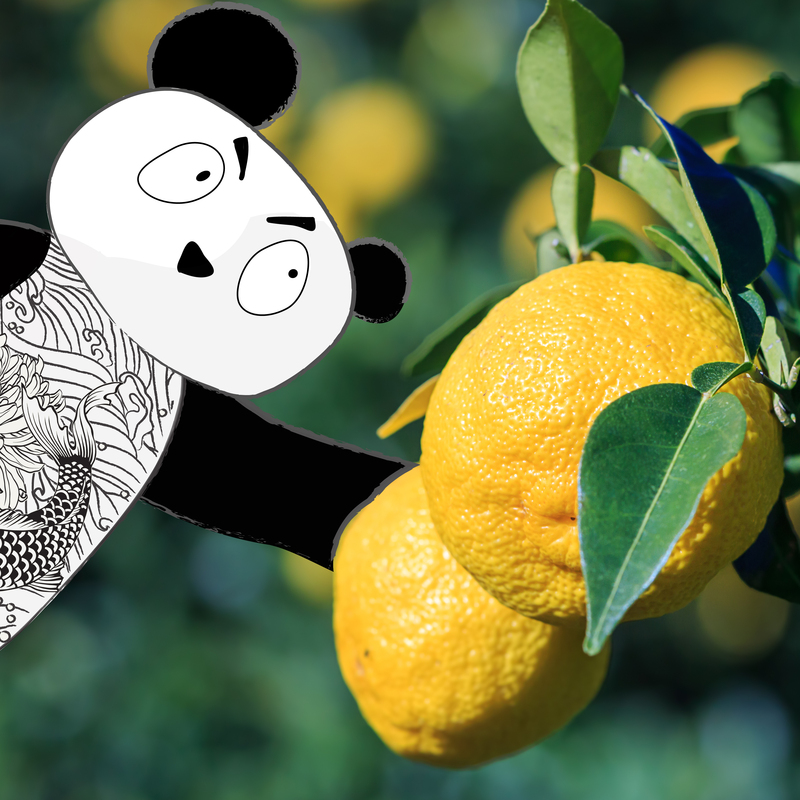 On the morning of the 21st December, the Bamboo Bathhouse was filled with the wonderful aroma of citrus fruit. 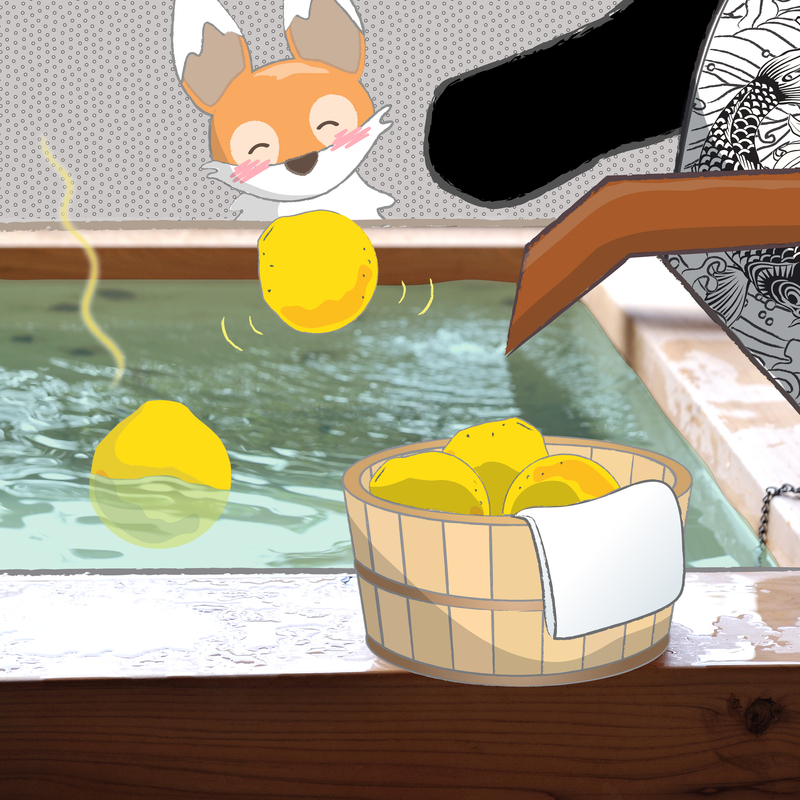 Kiku the little fox padded downstairs, following the warm scent into one of the bathing rooms, where he found Boss Panda throwing little yellow balls into the water. 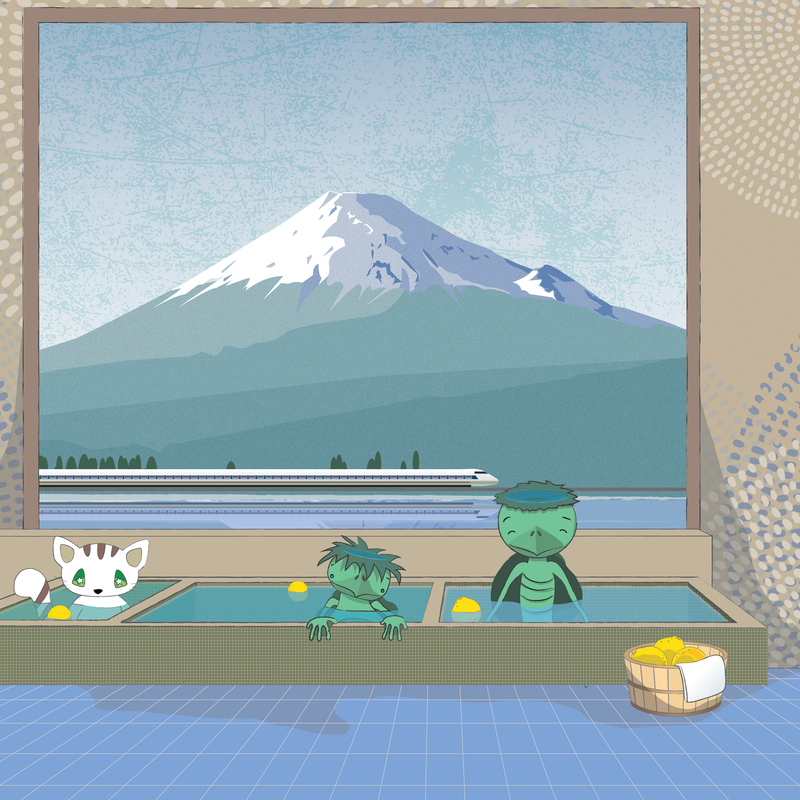 “What are you doing?” enquired the fox, who loved that there was always something interesting happening in the bathhouse and so much to learn about Japanese culture. 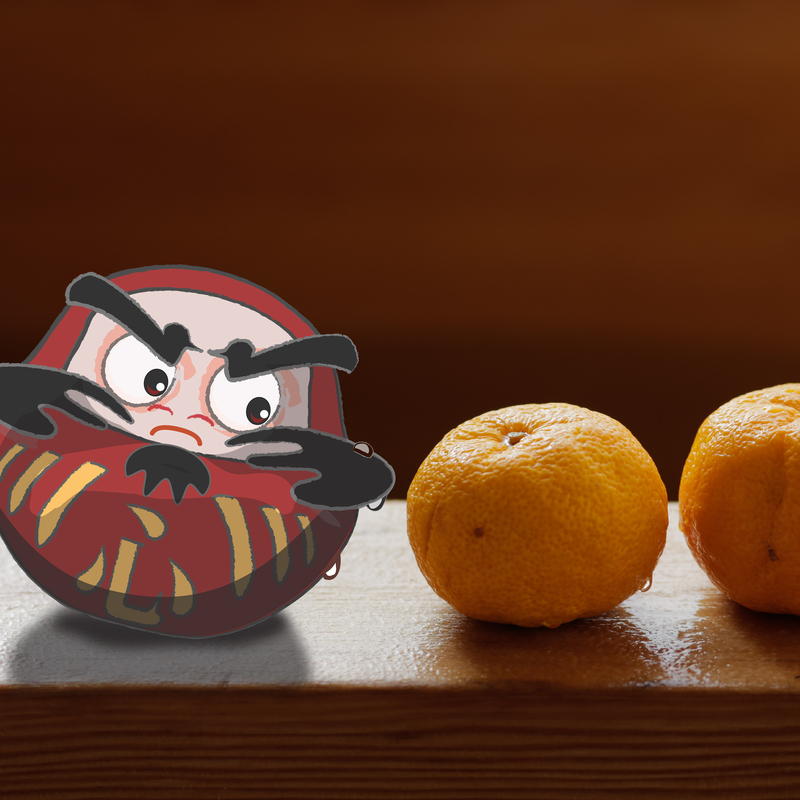 That afternoon was a busy one at the bathhouse, with friends from all over Tokyo dropping in to take a hot yuzu bath, and eat seasonal goodies from the kitchen. 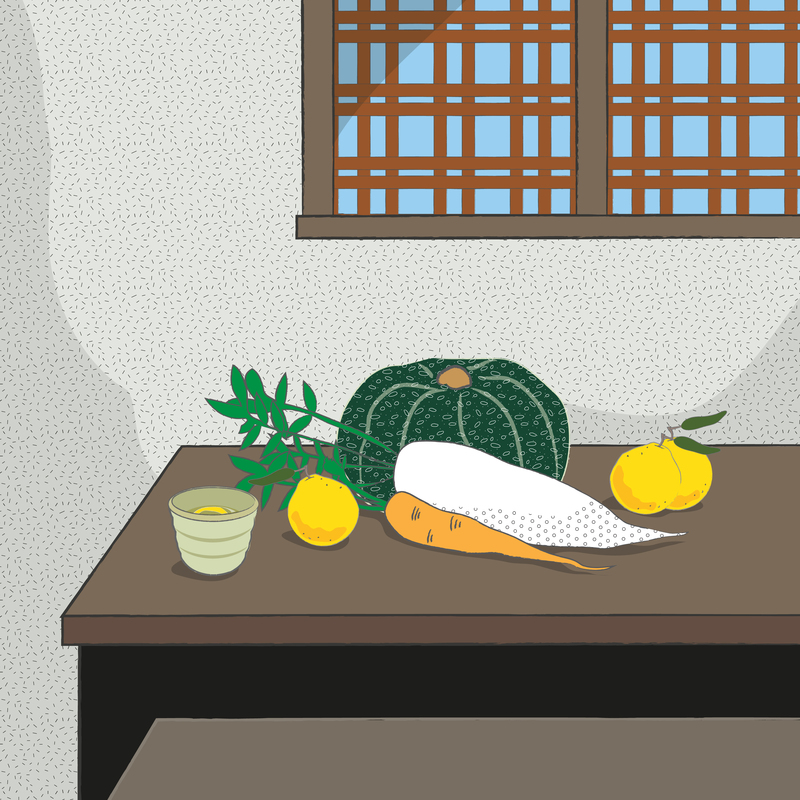 *Daikon = mooli radish/ renkon = lotus root/ ninjin = carrot/ konnyaku = konjac/ ginnan = gingko nut/ kinkan = kumquat.